Leading Manufacturer of nb flower and striker spreader from Rajkot. We are offering to our clients a wide assortment of NB Flower Plant Growth Promoter(Nitrobenzene 35%). Our provided range of this product is admired among our prestigious clients. 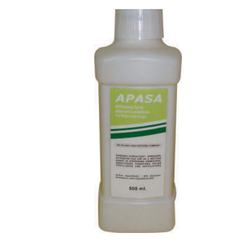 This product is formulated as per the industry defined parameters using high-grade ingredients and the latest technology and used to control Thrips and all Types of Mites. Apart from this, we are offering these products to our clients at very affordable rates. We are a trustworthy organization in the market, actively engrossed in offering a wide gamut of APASA Striker Spreader to the clients. Offered products are processed as par with the preset parameters of the relevant industry. Offered assortment is used for highest penetration of hormones in the plant. Furthermore, these are well known for their superior quality and high effectiveness.